Cheryl Richardson is a lifestyle expert who supports busy people in achieving personal success without compromising their quality of life. She was the first president of the International Coach Federation and holds one of their first Master Certified Coach credentials. 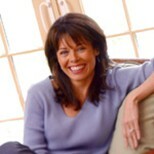 She is the author of The New York Times bestsellers Life Makeovers and Take Time for Your Life. Cheryl received the 2000 Motivational Book Award for Life Makeovers from Books for a Better Life, which honors the year’s most outstanding books and magazines in the Self Improvement genre. She is also a professional speaker. Cheryl was the team leader for the Lifestyle Makeover Series on The Oprah Winfrey Show and accompanied Oprah on the “Live Your Best Life” nationwide tour in 2001. Cheryl has designed and presented programs to universities, Fortune 500 companies, educational conferences, and professional associations. She served as the co-executive producer and host of The Life Makeover Project with Cheryl Richardson on the Oxygen Network and is also the co-executive producer and host of two public television specials. Stand Up for Your Life and Create an Abundant Life premiered in 2002. Cheryl was voted one of the top ten coaches in America in 1997 by readers of The Professional Coach magazine. Her work has been covered widely in the media, including Good Morning America, the Today Show, CBS This Morning, The New York Times, USA Today, and Good Housekeeping. • What qualities of character have you strengthened? Are you more honest with others about how you feel? Have you learned to set boundaries with those people who drain your energy? Maybe you’ve improved your communication skills or become more sensitive to the needs of others? • Have you shared an act of kindness or supported others in some way? Did you help a friend who is going through a divorce or care for an elderly parent? Maybe you coached your kid’s sports team or volunteered for a non-pro?t organization? • What special memories have you created with those you love? Did you take a vacation that was particularly memorable? Did you organize an event that brought people closer together? Were there any special moments that stand out? • What have you achieved or accomplished? Consider both your personal and professional life. Did you meet your business goals or get a promotion at work? Maybe you finished an important project, like writing a book or developing a workshop, or channeled your creative energy into painting or cooking? Cheryl Richardson is first and foremost a life coach, helping countless clients make substantial changes in their lives. She has taken her personal coaching knowledge and distilled it down into a year-long program that will absolutely help you improve your life. This program can be found in her book, Life Makeovers, and it is where I suggest that you begin. • Identify your most important accomplishments. • Identify the quality that you would most like to develop and the actions necessary to develop them. • Identify and eliminate energy drains. This list goes on and on. Cheryl borrows ideas liberally from a variety of other Self Improvement Experts and puts them into a cohesive 52-week package. She also provides information about a wide range of resources that you can contact for further studies. If you participate in her book, you’ll no doubt be at the start to a better life.